The main objective of the Chamber was to safeguard the interest of the Chinese Community in Mauritius consisting mainly of traders. 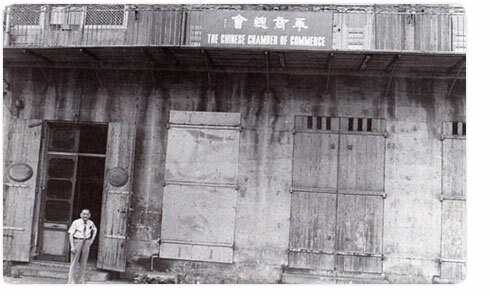 Our forefathers, the early pioneers of the Chinese grocery shops and of the credit system for consumers in Mauritius, had the wisdom and foresight to set up a Chamber of Commerce for the protection and promotion of their business interest, and to assist the arriving Chinese immigrants, promote Chinese culture, and help members of the Chinese Community in need of assistance as a result of old age, sickness or infirmity. One of the first duties of the Chamber was to communicate, interpret and explain to its members Government legislation and regulations relating to the distributive trade. The Chinese Chamber of Commerce served as the intermediary between the Government and the Chinese Community, and has thus played an active role in the economic development of Mauritius. 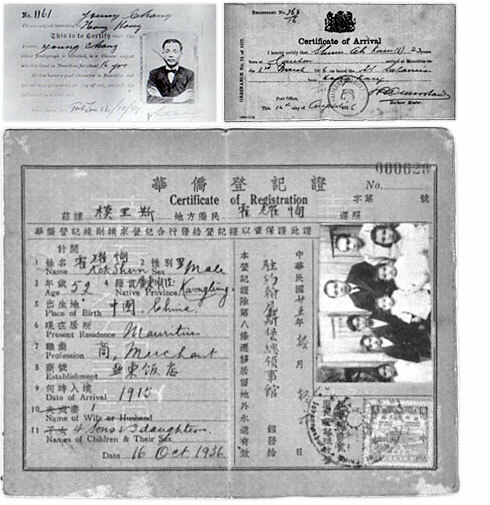 During the Chinese immigration period, the Chinese Chamber of Commerce was responsible for the registration of Chinese Immigrants. Unfortunately all the historical documents that accounted for that period were burned in the fire that destroyed the Chamber’s building in 1993. 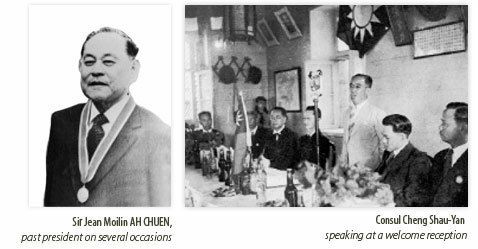 A Speech by the President of the Chamber before the opening of the first Chinese Consulate in 1945 recalled the importance of the Chamber during that period: “Prior to the establishment of the Chinese Consulate in Mauritius, the Chamber performed much of the functions usually assigned to Chinese Consulates abroad. It issued passports and visas Chinese travelling documents. It acted as intermediarybetween government and Chinese residents, whether they are Sino-Mauritians or aliens. The institution is devoted to broadening business horizon and promoting idealistic business ethics”. During World War II, the Chamber was called upon by the Colonial Office to organize the implementation of food rationing through the Chinese shops in all the towns and villages. The exercise was carried out to the fullsatisfaction of Government and ensured an equitable distribution of staple foods to the whole population during those critical years of uncertainty and food shortages. The first President was Mr Chan Wan Yee. Among those who served as President in more recent times,was Sir Jean Moilin Ah-Chuen, who was also Minister of Local Government, and Mr Marc Fok Tseung, who was a Member of Parliament and the Mayor of Port Louis. Messrs Adrien Konfortion, Jabin Hsu and Wong Hew Peng served dutifully as the Chamber’s Secretary for many years. The Chamber was the first to organize the Annual Spring Festival Gift Distribution to the needy of the Community and has been doing so continuously since 1918. Another important annual event organized by the Chamber since 2005 is the popular China Town Food and Cultural Festival which is held in April or May, bringing Mauritians of different origins and cultures together in an atmosphere of happy festive mood and harmony to walk freely in China Town (which is then closed to motor vehicle traffic), visit the Chinese shops, pharmacies, tailors, eat in the restaurants, and applaud the talent and skills displayed here and there by musicians, artists, athletes and dancers in the art of Chinese calligraphy, martial arts, music and classical and modern dancing. The Chamber runs ‘Kit Lok’, a funeral parlour for the Chinese Community, set up to provide vigil facilities for bereaved families of shop-keepers many of whom were then living in the villages. The Chamber is managed through a good blending of its “Seniors” with the younger and business-school trained generation of the Chinese business community, which will ensure its continued development and perennial course, as aptly demonstrated by the election this year of Annabelle Kok Shun as the first lady and youngest ever president of the Chamber. In bowing with immense humility and gratitude to our predecessors for their vision, efforts and achievements, it is fitting that we also reflect on the Chinese traditions and on the Confucian values which have guided them in their exemplary behaviour and successful performance which in turn have so much contributed to give to the Mauritian Chinese Community the total respect and esteem of all their compatriots.